Sturgeon date back to the Triassic period, nearly 250 million years ago and are widely considered living fossils due to the slow path of evolution they have endured over millennia. The size of some historic wild Beluga sturgeon has classified them in some realms as the largest freshwater fish, having reached weights over 3000 pounds. The Beluga sturgeon became the most revered sturgeon species due to its immense size, long life span (some over 100 years) and large, pale roe which was considered the most impressive and expensive food delicacy in the world. In 2000, a consortium of conservation groups – the National Resources Defense Council, the Wildlife Conservation Society and SeaWeb – started a campaign called “Caviar Emptor – Let the Connoisseur Beware” which published a report under the title “Roe to Ruin”. The report emphasized the near extinction of sturgeon and proposed to stop all international trade in beluga. Based on that report, the consortium filed a petition with the U.S. Fish and Wildlife Service to list beluga sturgeon (Huso huso) as an endangered species pursuant to its authority under the Endangered Species Act of 1973 (ESA). On March 4, 2005 the USFWS published a final version of the Special Rule to Control the Trade of Threatened Beluga Sturgeon. According to that rule, international, foreign and interstate commerce in beluga sturgeon meat and caviar were no longer possible within the United States. 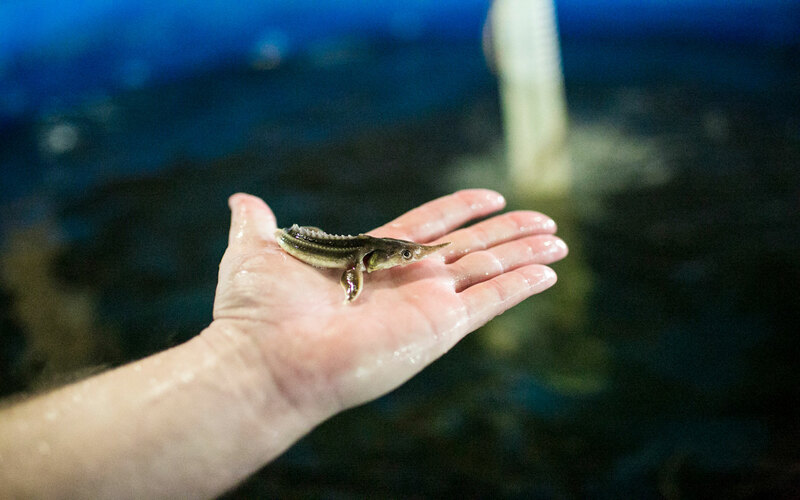 In July, 2016, Sturgeon Aquafarms became the first and only facility in the world to obtain a permit exemption for the trade in Beluga sturgeon in the USA.